Credit cooperatives in India make up one of the largest rural financial systems in the world. Playing a vital role in dispensing credit in largely agricultural areas, they are also the weakest link in the formal credit delivery system. This book provides a valuable case study of the traditional banking system in this developing economy, exploring the reasons for the poor performance of credit cooperatives in India and suggesting measures to revitalise them. Although this sector has grown along with the micro-credit sector to provide finance for the poor and the less creditworthy borrowers, financing development still remains a major problem in the developing world. However, the financial health of credit cooperatives in India has been a matter of perennial concern. The author argues that cooperatives hold great promise for financial inclusion if the financial position of the cooperatives can be consolidated. 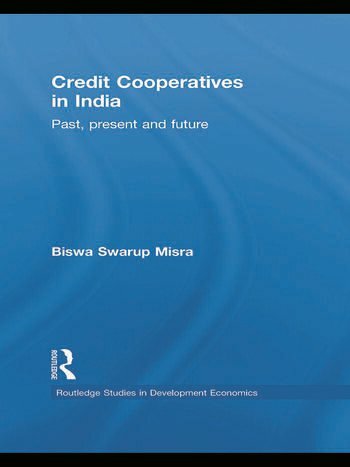 Providing a detailed analysis of the historical evolution of cooperatives in India, the book establishes the link between different segments of this institutional system and their performance in a commercial sense to show that cooperatives occupy an important place in India’s financial edifice as they play a key role in the multi-agency framework for rural credit delivery. As such, the analysis provides a valuable reference for scholars of economics, Asian economics and finance. Biswa Swarup Misra is Associate Professor of Economics at the Xavier Institute of Management in Bhubaneswar, India. He was previously a Research Officer at the Reserve Bank of India (Department of Economic Analysis and Policy) and Economist for the Union Bank of India.